April 11th day 3 of vacation in Cuba. Wifi is sketchy around here. So blogging was a chore. Here’s a beautiful beach spot..I wasn’t sure what to think when I first arrived. It took me at least 24 hours to relax. It’s like coming to a complete stop when you usually travel at 100km an hour. I settled into a routine by day 2. 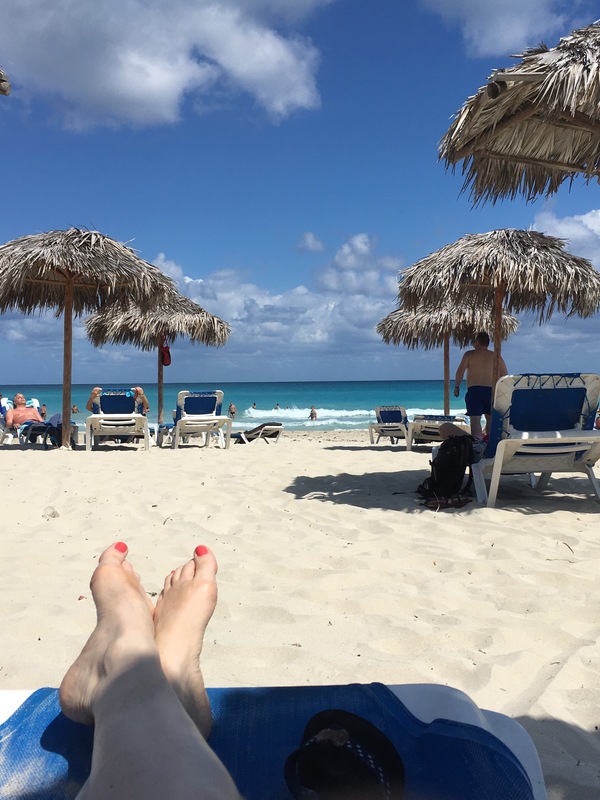 I actually had to make a schedule for myself…I know that crazy for a Cuban beach vacation but I’m not a typical vacationer. It’s way less anxiety provoking if I do a schedule for myself. Little Dude has three strings which I’m ok with. One snapped during tuning. Otherwise we are getting along fine. It’s a joy to play this little guy! Sounds great! The food is interesting, I’m still getting used to the food culture here. Not all good quality food is available to our level of resort so I’ve been eating a lot of rice, beans, fruit, and cheese. That’s sounds not to bad. I’m going by the food groups and I’m starting everyday with a protein bar. Hopefully I wouldn’t have faded to nothing by Sunday.